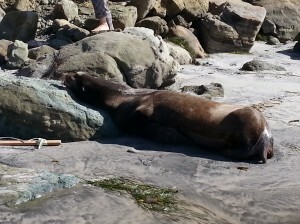 I walk this stretch of beach daily and have never seen a sea lion along it. They are often found about 5-6 miles south in La Jolla, but this isn’t their normal turf (surf?). What was also strange about this was that people walking the beach were getting within 2 feet of the sea lion and while it was agitated and barking, it wasn’t attacking or running away. Regardless of what you may see at Sea World, these animals in the wild are not something that you want to get that close to. It was clear that this animal was not well. 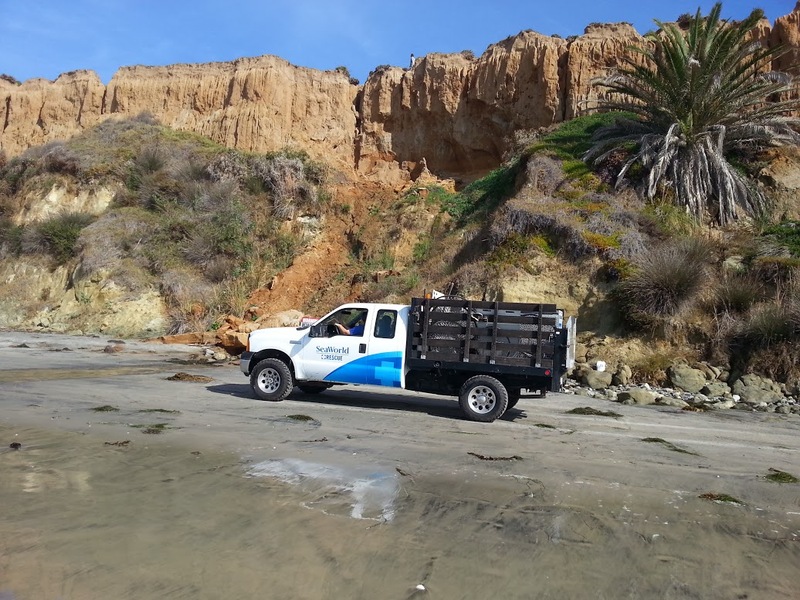 I went off to notify the lifeguards about the sea lion but as I neared the tower, a lifeguard truck along with a Sea World Rescue truck were already en route. 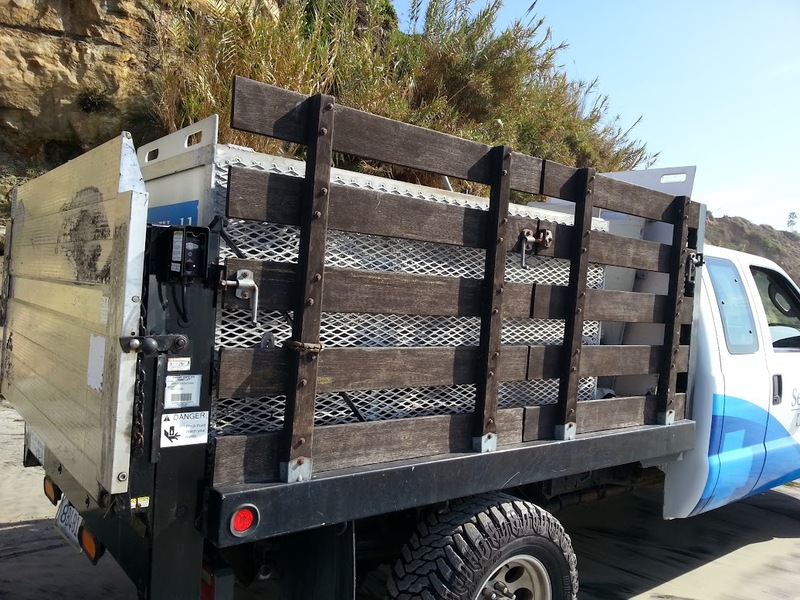 When I got back to the scene, they had just loaded up the sea lion into the rescue truck. I had a chance to speak with one of the staff from Sea World and he told me that this was an adult male sea lion and was obviously sick and exhausted. They will take him to facilities and work to nurse him back to health. While there has been a lot of bad press recently regarding Sea World after the release of the Blackfish documentary, it is important to note that Sea World has and continues to do a lot of good for our sea friends. 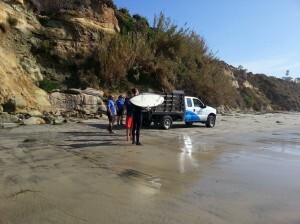 Thank you Sea World Rescue and Del Mar Lifeguards for your work today! 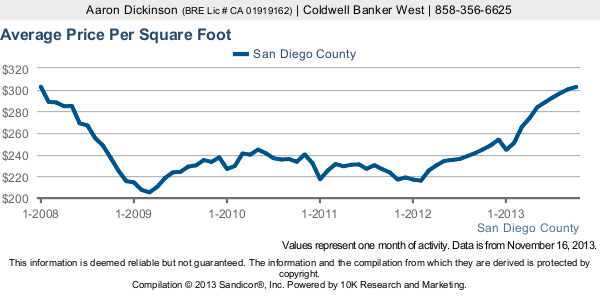 In October 2013 the average price per square foot of homes sold in San Diego County was $302, the highest level since January 2008 when homes cost $303 per square foot. 2012 and 2013 have been great years for San Diego real estate, and while the strongest appreciation is likely behind us, the supply of homes for sale is still low and so prices are likely to increase further in 2014. Welcome to Your Next Southern California Home! Welcome to SoCal Casas – your Southern California home source! Sunny Southern California is the perfect place for your home or second home! Warmth and sunshine can be found almost every day of the year. This site is a work in progress and will have just a few placeholders here for a while.